Here nestled in the Cascade Foothills of Gold Bar sets Connie's Pet Peeves Grooming & Boarding. Where your four pawed family member will be made to feel like they are at home. Our facility is located on a Sky Valley farm with over 13 beautiful acres of pastorial and mountain views. It's a serene and peacefull setting...a great place for your pet to relax and vacation while you are away. Here at Connie's Pet Peeves Grooming and Boarding we offer the highest standards of personalized care for your four pawed family members. During the costruction we had your pets safety in mind. 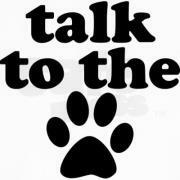 We are committed to your dog or cats safety and overall wellbeing. Our experiended and well trained staff will make your pets comfortable and take the time to give them love and attention. We have nearly 30 years experience in the pet service industry including 15 years experience with a veterinary corporation. Copyright 2012 Connie's Pet Peeves Grooming & Boarding. All rights reserved.